The concept of metal and mining business is committed to the extraction of metal as well as mineral reserves all around the world (Rugman, 2005). These reserves are basically used for earning profit through application in industrial areas or making jewelry or any other places. However, the current report will help you to understand the internal analysis existing in a metal and mineral industry. BHP Billiton is the selected company in the project which is involved in extracting and mining metals & minerals. The said firm has been headquartered in Melbourne, Australia. The below project will also help you to understand the role of regulatory authorities in metal and mining business. BHP Billiton is seen to be one of the world’s largest mining companies as per the record of 2015. The mentioned metal and mining company has been headquartered in Melbourne Australia which is basically founded in New South Wales (Chen and Bouvain, 2009). BHP Billiton was organized through the merging of two different Australian companies namely, Broken Hill Proprietary Company and the Anglo-Dutch Billiton. BHP (Industry and Operations): – Initially, Billiton was a mining company in 1860, later on, the firm got hold of mineral rights and expanded its business. While on the other hand, Broken Hill Proprietary Company was integrated in the year 1885 for the purpose of operating silver and lead mine, at New South Wales. However after years, in the 21stCentury, both the companies merged from BHP and Billiton Company to BHP Billiton. A few years later, after achieving a sound position in the market, BHP Billiton decided to bid another mining company in 2005 (Harzing and Pinnington, 2010). Later on, in 2007, BHP Billiton made an announcement regarding the purchase of rival mining group Rio Tinto Group. The said firm had made numerous investments over the years to get expanded. Commercial dealings: – The Company consists of two different bodies namely BHP Billiton Limited (Australian) and BHP Billiton Plc (British), but both these bodies operate their business under one name (Mitchell and Studdert, 2012). As their boards of directors are the same and the follows a single management structure. Nevertheless, the global headquarter of both the Australian and the British company are situated in Melbourne, Australia. The only difference in the office’s locations is that BHP Billiton Plc is sited in the UK while the offices of BHP Billiton has been situated in many places such as Houston, USA, Santiago, Perth, Kaula Lumpur, Shanghai, Singapore etc (Okereke and Russel, 2010). Management in BHP Billiton: – In the year 1998, the stock price was very less resulting even less than $7 per share. As a result, management of BHP Billiton recruited an American named, Paul Anderson to look after the company’s affairs and rebuild it. After the completion of Paul’s 4 years period, Brain Gilbertson was named as the next CEO in the year 2003. The role of Gilbertson also did not last long as he resigned just after six months of becoming CEO (Bamberger, Biron and Meshoulam, 2014). As a result, Anderson Protégé got selected as the new CEO of BHP Billiton who brought the company to a remarkable position till his retirement. The stock price was recorded over $80 per share at the time of his retirement. Operations: – The operations of BHP Billiton have been widespread. Over 25 different countries, the mentioned business is performing on a certain platform. Around 41,000 employees are being worked for BHP Billiton all over the world (Okereke and Russel, 2010). Moreover, the company drives over various operations like mining, processing of oil and gas industrialization. According to the measurements in the year 2015, it has been analysed that BHP Billiton manufactures more than 256 million barrels of oil which is equal to 1.7 million tonnes of copper, 233 million tonnes of iron ore, 43 million tonnes of metallurgical coal and 41 million of energy coal (Gooderham, Nordhaug and Ringdal, 2006.). There are certain laws amended by the Australian government for business organizations. Whether the company is small scaled or large-scaled, some rules and regulations implemented by the regulatory authorities of any country are mandatory to be followed by the business firms (Momin and Parker, 2013). However, in the present scenario, BHP Billiton is a public limited company and one of the largest metal and mining industry of Australia as well, therefore it is quite acceptable that the company is operating under some laws and regulations. Mining Act 1971: – As this Act, the regulatory Authorities are likely to declare any kind of land under the coastal waters as mineral land. It is quite beneficial for BHP Billiton to operate under this law as it becomes easy for the firm to get an adequate amount of space to work with (Mallin, 2011). Mines and Works Inspection Act 1920: – In this Act, the Government can appoint any person as the chief inspector to inspect any mine in any place of the state. From the customer’s point of view, the mentioned metal and mining firm is more likely to perform its operations by staying in the line of command. This will help the firm itself to avoid unnecessary inspections from government officials. Opal Mining Act 1995: – Under this Act, the Government may announce any land in the State as precious stone field. Effectiveness and efficiency of business: – The regulatory frameworks implemented by the Australian government create positive impact over the operation s management of the BHP Billiton (Soderholm, Soderholm, Petterson, 2014). Managers are more likely to work with more enthusiasm. Accountability: – In order to not to break any legal regulations, managers, explorers, and miners of BHP Billiton have to take responsibilities and will have to take stand for their roles. This creates a positive environment at work and business does not suffer due to any external interference. Enforcement: – Restrictions against job roles requires miners and explorers in BHP Billiton to accomplish their jobs on time with expected outcomes (Adams and Frost, 2006). Royalties:- The first and foremost treaty which hinders the growth of the mining business in Australia is royalty. Royalty is mandatory to be paid to the regulatory authorities for the extraction of minerals from the land. However, royalties’ payable for BHP Billiton varies in the context of volume, cost per ton or the number of minerals or petroleum extracted from the land (Dodge, 2006). It also varies from state to state, thus there is not a fixed ration of royalty to be paid for the mentioned firm. As a matter of matter of fact, the mentioned mining firm has been operating its business in most parts of the country, as a result, government charges more royalty in terms of higher freight rates in order to bring minerals with some other products or goods and services. Duties and taxes: – Almost every business organization has to pay duty and taxes in the context of their business, similarly, for mining and exploring company like BHP Billiton also, the same thing is applied (Sawer, Abjorensen and Larkin, 2009). In fact, for an extracting company, it becomes mandatory to pay tax and duty as per the government’s rules. Financing: – Financing is a kind of convention which plays the role of the biggest barrier for a mining company like BHP Billing. As the said company is totally involved in the mining business, it needs a huge sum of money to construct mines and minerals production facilities. Project finance is considered as the most preferable finance that is taken into consideration the sustainability of exploration and replenishment of raw materials (Devere, Mark and Verbitsky, 2011). Restrictions on importation of machinery: – In order to use heavy mining and earth moving machines for mining purpose, an import license is compulsory for BHP Billiton. It is never easy for any company to collect import permit/license from the regulatory authorities, as there are various formalities required to be completed for that. There exist various concerns like the cleanliness of machines that is free from all soils (Soderholm, Soderholm, Petterson, 2014). Restrictions imposed over importing heavy duty types of machinery or mining pieces of equipment for exploration of minerals: – For the purpose of exploring minerals from land, it is very crucial to trade in a specific permit in order to bring the types of machinery used for extracting the minerals. Not only that but even after acquiring the import license, it is to be checked by the Australian Quarantine and Inspection Service. Moreover, another major requirement from the Australian Government is declaration certificate of all the machinery imported in order to confirm that the machine is free from soil particles, plants or animal fragments (Darling, 2011). Impact: – There has been a massive impact on BHP Billiton through this restriction because mining is a continuous process and a minor resistance in it results in the huge loss. As the workers are paid on the basis of hours and due to non-availability of machines, they are not able to extract minerals. Limitations regarding recruitment of domestic or foreign employees: – For mining purpose, the large number of workers is required, in such situation, Australian government either uses domestic employees or they have to hire foreign employees for accomplishing their objectives. Impact: – As BHP Billiton is a large-scale mining corporation, and it has been already mentioned that around 41,000 employees have been employed here, therefore, it is very essential for them to comply with the visa restrictions which is imposed by the federal government (Mitchell and Studdert, 2012). The said firm is willing to expand its business all over the world, so by providing legal and adequate assistance to employees, it can attract more and more workers having excellent skills from both domestic as well as foreign countries. Restrictions imposed on exportation and sale of metallic minerals: – BHP Billiton has got some exemptions in this context as they have to put some controls over exportation/sale of uranium only. Other products except uranium are free from any restriction or duty. The above restrictions are more than enough to understand the number of legal obligations a mining company like BHP Billiton has to follow for the smooth flow of operations without failure (Black, 2006). The above analysis helps to understand the importance as well as the impact of the regulatory framework on one of the largest mining company in Australia that is BHP Billiton. Though it is one of the largest mining companies in Australia it has to follow certain rules and regulations implemented by the government. Royalties, duties and taxes, restrictions on the import of heavy types of machinery are some of the regulatory frameworks which make it difficult for the selected mining industry to operate its processes. Moreover, there are many treaties and conventions discussed in the project that hinders the performance of BHP Billiton. There exist a number of resources in Australia and the economy of this country are such that the demand and supply of its resources are the same all the time. Agriculture resources, human resources, and human resources exist in ample quality in the Australian economy (Satchwell, 2014). Though the demand and supply curve is almost the same in all three resources there exists a minor difference in their analysis. In case of agricultural resources, the demand and supply analysis does not show massive change but on the other hand, in context of human resources and mining resources, demand and supply ratio is the most likely to fluctuate. However, mining and human resources are such resources which are not always available in the economy and there could be some external reasons for such a difference in their demand and supply analysis (Byrnes, Charlesworth and McKinnon, 2009). Example: – In the case of the Eastern Australian Gas market, the demand and supply ratio was so imbalanced. That is, the demand for gas was not so high for international market pressure. However, with the expansion of export after 1990, the demand, as well as supply for the Eastern Australian Gas, was drastically increased in the market. Nevertheless, Australia is more dependent over agricultural and mining sector, this indicates that it must have an adequate amount of labor force to accomplish economies mining and agricultural purposes (Conte, 2010). In such an economy, the demand for a human resource is always high but the issues are less availability of skilled labors resulting in a rapid increase in wages of workers. Despite increasing the wage-level of workers, it cannot meet the increased supply of demand due to non-availability of skilled workers in the Australian Market. Therefore, it has become an issue regarding human resources and the mining sector to hire as much as quantities of skilled labor in order to operate mining tasks. Therefore, it can be said that demand and supply not only depends upon the pricing of products or services or wages of human resources but it also depends on such external factors like non-availability of skilled laborers as well. In the current scenario, resource-rich Australia facing lack of supply and specialized labor to meet internal demand and supply (Devere, Mark and Verbitsky, 2011). In other words, Australian resource has been divided into two areas, such as Western Australia and Queensland but facing scarcity of resources in terms of sufficient labor force. Despite having such an enormous amount of resource, the Australian economy is facing shortage specialized labor force that can carry on mining activities. In order to cope up with this issue, the Australian Government is establishing skilled laborers programs over the last two years (Mitchell and Studdert, 2012). The regulatory authorities are putting more stress on Skills Occupation List (SOL), state and territory migration plans, priority processing and employer-sponsored programs. Promoting these kinds of programs can definitely help Australians to overcome the issue of the labor shortage. The above-mentioned policies emphasized by the government will play a handy role in providing the specialized labor force to Australia. For an economy, where there is a shortage of skill and specialization, output may not come as expected. The same thing has been going through Australian resource-rich regions. Resource-rich region: The Gladstone CSG / LNG projects: – The Gladstone region in Australia at this time is facing the effect of increased business opportunities as well as increased competition for skilled laborers regarding its massive building of the infrastructure for 4 different CSG / LNG projects. 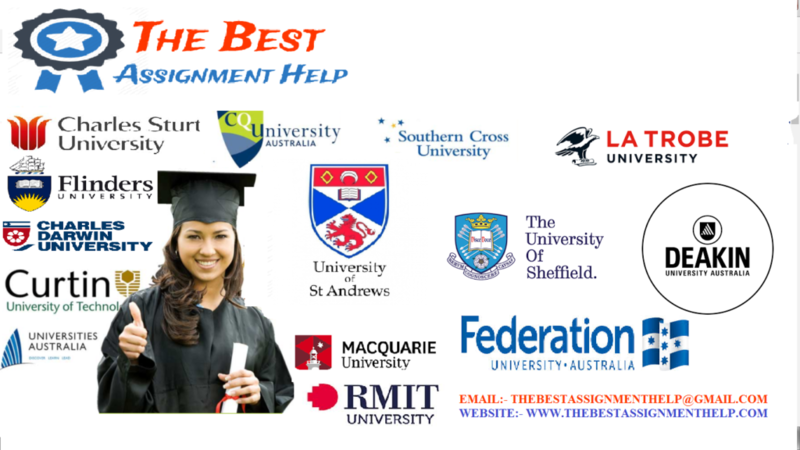 Demand and supply of resources in Australia is the subject on which the above description is all about. In this topic, both the regulatory authorities and the whole economy as well has undergone issue identified in the description is lack of skilled labor in reach regions. As a result, the economy is suffering due to the low extraction of minerals. Shortage of resources in terms of unskilled labor is a matter of worry for the economy of the country. As a result of shortage of skilled and specialized laborers, the production level goes down. We have gone through the demand and supply approach broadly in the above discussion which helps the readers to understand the situations existing in the minerals and mining industry due to the scarcity of resources. The project entails actions undertaken by the Australian government in order to minimize the shortage of skilled employees in mining industries. Such as Enterprise Migration Agreements, Regional Migration Agreements (RMA) and State and territory Migration plans. In order to overcome these issues regarding lack of skilled employees, mining companies should not hike wages of workers. Instead, they should spend the same amount of money in establishments of training and development programs of existing employees. This will help employees to learn something new and they will develop themselves. As there are not many legal restrictions on recruiting employees from abroad than Australian government should seek more and more skilled laborers all over the world at a rapid pace so that their metal and mining industries do not get affected. The above analysis clearly states that demand and supply of resources in Australia, most especially in the human resource and mining sector are facing huge challenges just because of the shortage of employees. However, spending amount over existing employees will help the Australian Government to improve their skills and simultaneously they can approach more employees across the world. Bamberger, P.A., Biron, M. and Meshoulam, I., 2014. Human resource strategy: Formulation, implementation, and impact. Routledge. Byrnes, A., Charlesworth, H., and McKinnon, G., 2009. Bills of Rights in Australia: History, politics, and law. UNSW Press. Conte, A., 2010. Human rights in the prevention and punishment of terrorism: Commonwealth approaches: The United Kingdom, Canada, Australia, and New Zealand. Springer Science & Business Media. Darling, P., 2011. SME mining engineering handbook (Vol. 1). SME. Doeker, G., 2012. The treaty-making power in the Commonwealth of Australia. Springer. Harzing, A.W., and Pennington, A. eds., 2010. International human resource management. Sage. Mallin, C.A. ed., 2011. Handbook on international corporate governance: country analyses. Edward Elgar Publishing. Rugman, A.M., 2005. The regional multinationals: MNEs and global strategic management. Cambridge University Press. Sawer, M., Abjorensen, N. and Larkin, P., 2009. Australia: The state of democracy. Federation Press. Adams, C.A. and Frost, G.R., 2006. Accessibility and functionality of the corporate web site: implications for sustainability reporting. Business Strategy and the Environment, 15(4), pp.275-287. Black, L.D., 2006. Corporate social responsibility as capability: the case of BHP Billiton. The Journal of Corporate Citizenship, (23), p.25. Chen, S. and Bouvain, P., 2009. Is corporate responsibility converging? A comparison of corporate responsibility reporting in the USA, UK, Australia, and Germany. Journal of Business Ethics, 87, pp.299-317. Devere, H., Mark, S. and Verbitsky, J., 2011. A history of the language of friendship in international treaties. International Politics, 48(1), pp.46-70. Dodge, W.S., 2006. Investor-state dispute settlement between developed countries: reflections on the Australia-United States Free Trade Agreement. Vand. J. Transnat’l L., 39, p.1. Gooderham, P., Nordhaug, O. and Ringdal, K., 2006. National embeddedness and calculative human resource management in US subsidiaries in Europe and Australia. Human Relations, 59(11), pp.1491-1513. Mitchell, A.D., and Studdert, D.M., 2012. Plain packaging of tobacco products in Australia: a novel regulation faces a legal challenge. JAMA, 307(3), pp.261-262. Momin, M.A. and Parker, L.D., 2013. Motivations for corporate social responsibility reporting by MNC subsidiaries in an emerging country: The case of Bangladesh. The British Accounting Review, 45(3), pp.215-228. Okereke, C. and Russel, D., 2010. Regulatory pressure and competitive dynamics: Carbon management strategies of UK energy-intensive companies. California Management Review, 52(4), pp.100-124. Painter‐Morland, M., 2006. Triple-bottom-line reporting as social grammar: integrating corporate social responsibility and corporate codes of conduct. Business ethics: a European review, 15(4), pp.352-364.